Do you have a dog that hates having his nails trimmed, and does this give you a headache? We understand and want to help you create peaceful nail trimming now. 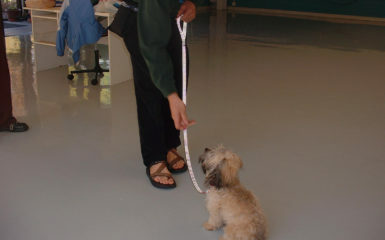 Recently, I went to a Pat Miller seminar, and she talked about an awesome and easy way to get your dog’s nails trimmed. It is so positive. 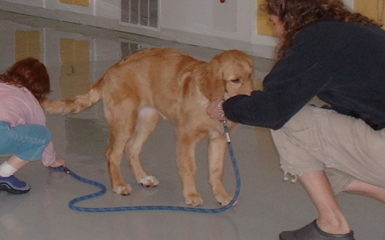 Dog training (Salt Lake City) is minimal because you are actually teaching your dog to trim his own nails. A board that is about 2 feet long and a bit wider than you dog. Slip-proof tape that covers stairs. You can get this at a hardware store. Cover the board with the slip-proof tape. It is very hard to remove, so it will be secure. Next, you will be doing some positive dog training. 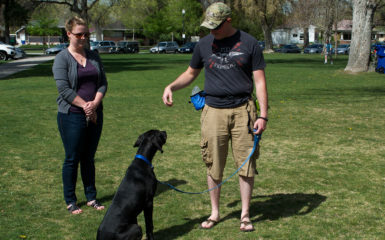 Salt Lake City dog owners will be training their dogs to paw their own nails on the board. 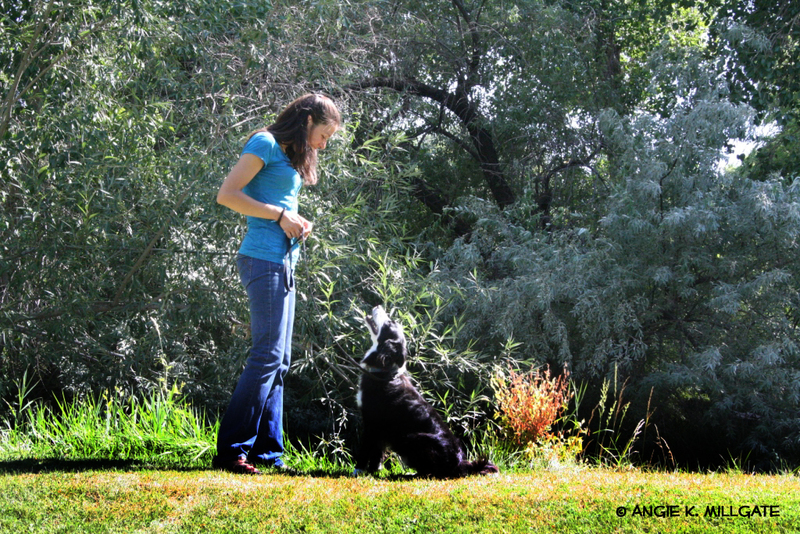 Start with just c/t when your dog moves toward to the board and then wait to click and treat when he either goes to paw the board or walks across it. 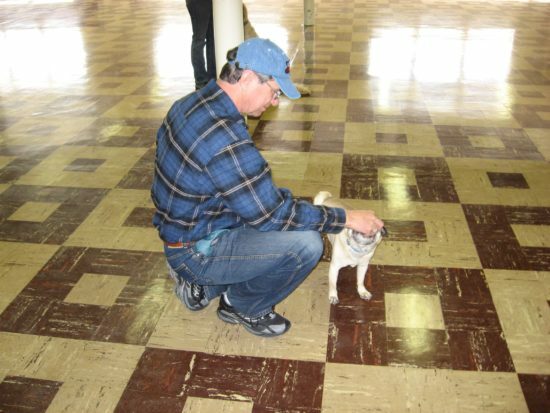 You can teach your dog to walk across it multiple times, or you can teach your dog to paw it. You can reward an exact pawing of the board by delaying the click as your dog is moving one foot forward so that you are clicking a pawing motion. Many dogs will want to dig at the board. If this is not the case for you, you can teach your dog to dig by placing a blanket on the ground. Put a treat under the blanket. C/t when your dog paws that. Add a command then generalize that to the board. Now you will have a huge amount of stress relief. 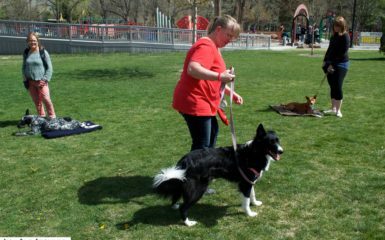 Through positive dog training, Salt Lake City dog owners now have a dog that can trim his own nails. If you need help you can consult help with us.